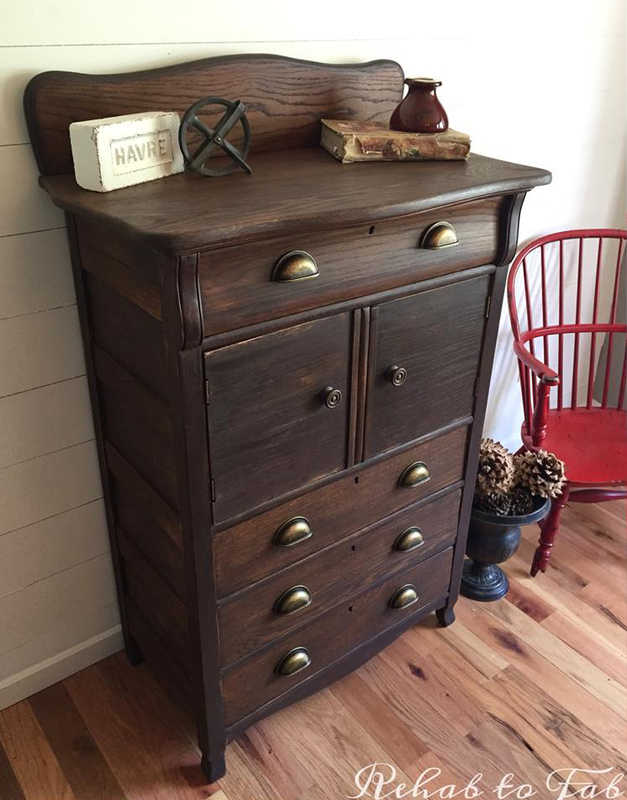 Rehab to Fab says, "This solid oak chest screamed make me new again. I painted the the frame with Miss Mustard Seed's Milk Paint in 'Curio' & the inside, top, backsplash, drawer fronts & side slats got a good soaking of tinted Hemp Oil. Tinted with General Finishes Oil Based Spiced Walnut stain. Distressed Antique Bronze Bin pulls finish the piece off. I wanted to keep it more original & not cover it completely with paint."